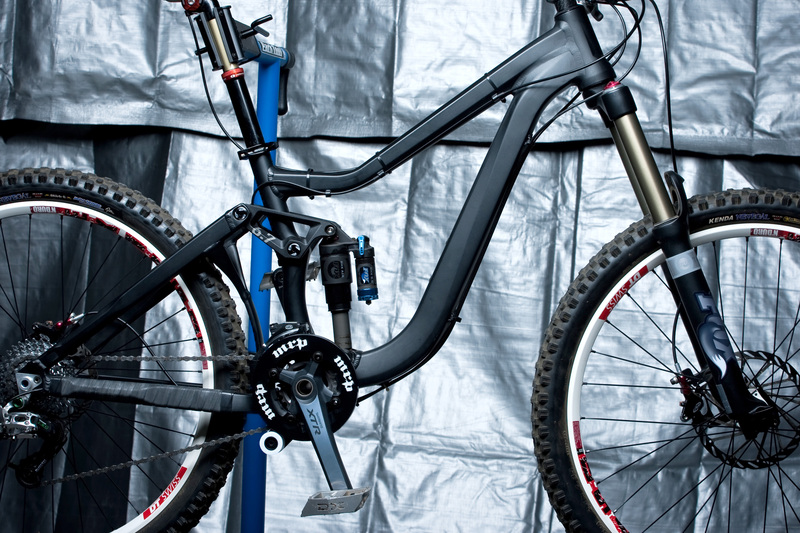 Giant wanted to redesign the bike for 2010 and bring the weight under 30lb for the complete build. The new bike has 6.5in of travel, rear Thru axle with 135mm Rear hub spacing, new links – the penetrated downtube of old is gone, cable routing now goes through stays and ISCG tabs and integrated Tapered headtube. 1.5 to t 1/8. Swish!